Like it or not, 8K resolution is here to stay. A couple of years ago, 8K seemed like little more than a whisper or a resolution noone had yet to ask for. But as the saying goes: if you build it, they will come. 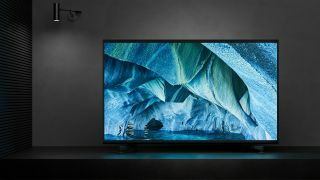 Samsung, Sony, Toshiba, Hisense, and LG are all ploughing ahead with 8K televisions, with this year’s CES 2019 tech expo showcasing a number of dazzling new models to be released this year. Not to mention a whole new 8K Association set up to guide the visual standard of the future. While 8K sets are still the preserve of committed cinephiles – you’d have to be, with those prices – we’re certain to see the technology trickle down to cheaper sets, just as 4K did. With manufacturers, broadcasters, and production studios are starting to get behind the new technology, it’s crucial to know what you can expect to see on your televisions in the coming years, and the 8K technology that’s actually on offer now. So what really is 8K resolution, and does it really make that much of a difference? We’ve got all the information you need right here. 8K is nothing short of the clearest picture you’re ever likely to see. It’s got four times more pixels than 4K images, measuring 7680×4320 pixels, which equates to a total of 33,177,600 pixels. In a 65-inch screen they are so small you won’t even be able to make out the pixel structure – though many 8K TVs are much, much larger. Why is it called 8K? It’s called 8K because the images are roughly 8,000 pixels wide, give or take a few hundred, but the specification also comes under the umbrella term Ultra HD, so some people use the term Ultra HD 8K. 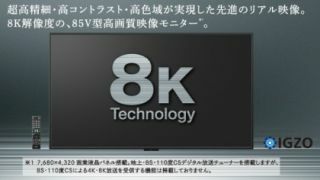 Others still call it 8K Super Hi-Vision, such as NHK – Japan’s largest public broadcaster – which invented it back in the year 2000 and branded it in 2012. What is the resolution of 8K? 8K resolution is 7680×4320 pixels, so is also called 4320p – for the same reasons Full HD was called 1080p – though it’s more commonly referred to as Ultra HD 8K or just 8K. Since 8K screens have about 33 million pixels in total, that’s a 33-megapixel image. Absolutely, yes. Full HD 1080p TVs gave you a two-megapixel image, which isn’t much compared even to what your smartphone’s camera is capable of. 4K ups that to eight megapixels, which still seems underwhelming considering the capabilities of human vision and, again, what smartphone screens can now achieve. So the 33-megapixel image of 8K – the next mathematical step-up from 4K – could at last provide the kind of immersion we’ve been searching for. Or, at least, that’s the theory. Are 8K TVs already on sale? Yes, and you’ve been able to do so for a little while now already. We’ve come a long way from the proof of concept 8K TVs we’ve been seeing at conferences for the past few years. When we first saw the 98ZHQ2R TV from Chang Hong back in 2017, the 98-inch set appeared to be held in place by something akin to scaffolding, so thick were the supports. 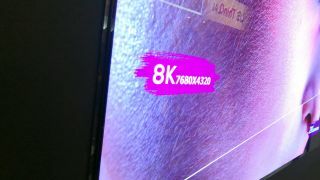 But that’s all changed now – the latest wave of 8K TVs are every bit as thin and home-friendly as what we now expect from our existing 4K TV models. So what mainstream 8K TVs are on the market? The Samsung Q900R 8K TV released in late 2018, and garnered a whopping five stars from the TechRadar team – albeit with a similarly whopping price tag. In the UK you’ll be paying £4,999 for the 65-inch model or £6,999 for the 75-inch – while the 85-inch model is retailing for £14,999 / $14,999. We saw LG debut two new 8K TVs at CES 2019, including the 75-inch SM99 and an LG 8K OLED. TCL showed off an 8K QLED Roku TV, while Sony led its 2019 range with the Master Series Z9G 8K LED TV. These models will be arriving in the coming months, so keep an eye on their TechRadar pages for the latest news on pricing and availability. Does an 8K TV need HDMI 2.1? Yes – and they all will have the new specification of the HDMI cable, which for the first time allows 8K resolutions to pass through. HDMI 2.1 is a major enabler of the forthcoming 8K resolution revolution, making sure TVs accept 8K resolutions at 60 frames per second (or 4K resolution at 120 frames per second). There are many sources that will produce 8K content. The first is Hollywood, whose directors have begun to use the new RED Weapon 8K camera (Guardians of the Galaxy Vol. 2 has already been filmed this way in 8K). And with the advent of truly commercial 8K TVs, there’s sure to be a growing market of 8K content from all sorts of traditional TV production studios (and likely Netflix). Second is the Tokyo Olympics, which means waiting until 2020. However, 8K will only be broadcast by NHK in Japan itself. Lastly – and perhaps most tellingly – 8K content will come from all of us. 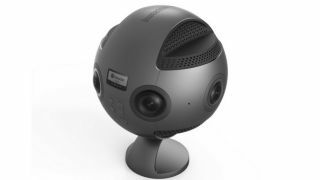 8K capture from 360-degree video cameras is already offered by the GoPro Omni VR and Insta360 Pro, which was launched at CES 2017. “Talk to the VR guys and they’re tell you that the higher the resolution and frames rates, the better,” says Jeff Park, Director of Marketing at HDMI Licensing, whose new HDMI 2.1 permits 8K image transfer. “VR today looks good but it lacks fidelity … if it was affordable and practical, they would do 8K now,” he says. 8K-per-eye VR headsets, anybody? They’re surely in the pipeline alongside a wider field of view. But, in the interim, it’ll be advanced upscaling processors that will take full HD and 4K content and make them ready for the 8K big time, redefining the sharpness possible from existing sources. 8K TVs aren’t likely to feel like necessary purchases for a while yet, but there’s already enough content on the horizon for us to expect a bright future for the high-def technology.